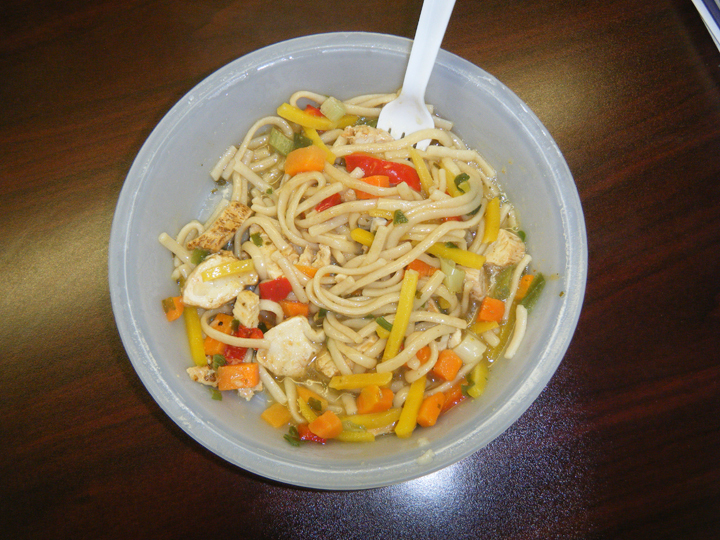 Today’s lunch is…..drumroll…..a frozen meal. 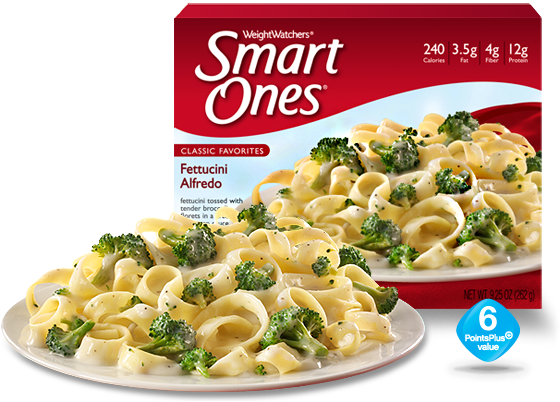 SmartOnes Fettucini Alfredo – 6 points. Grape tomatoes – 0 points. What you don’t see is the obscene amount of salt I put on both. I know I’ve told you this before, but now that I am a famous food blogger, corporations are just clamoring for me to try their food. I’ve always thought my opinions really mattered to the public social discourse, but it’s nice to have official confirmation. 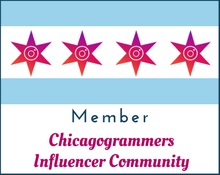 I’m more than happy to accept gifts of food in exchange for a blog shout-out (hey, this is America), but I’m not the only big winner here. This time, a lucky reader will also prosper and feel what it feels like to get free food (it’s awesome). 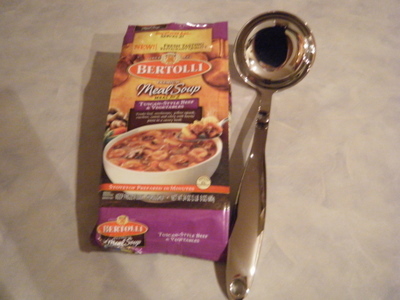 That’s right – Bertolli has offered to send one lucky reader 4 free coupons to try all the varieties of their new frozen soup line, PLUS a really lovely ladle from Crate & Barrel. The winner will be chosen at random, and in order to be eligible for the giveaway, you must leave a comment on this post telling me your favorite kind of soup. The giveaway will close at 12 p.m. on Friday. Be sure to include a way for me to contact you. 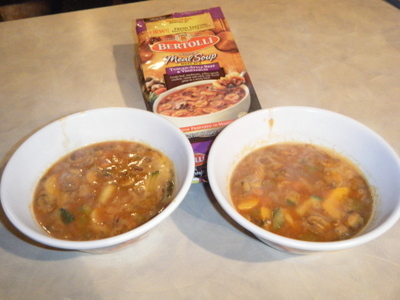 Tonight I tried the Bertolli Tuscan Style Beef & Vegetable frozen meal soup. For some reason, the term “meal soup” is something I apparently cannot say enough. Meal soup – so literal! Let’s get in the description: “Tender beef, mushrooms, yellow squash, zucchini, carrots and celery with bowtie pasta in a savory broth.” Sounds pretty good…but what about the nutritional information? 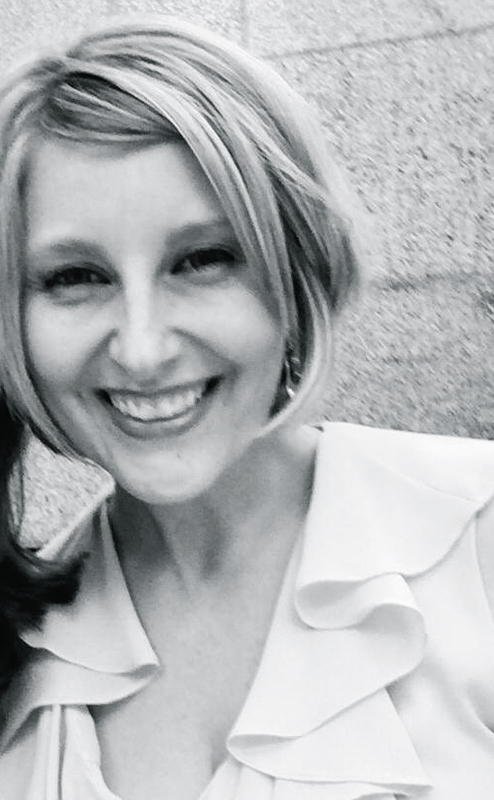 I’m glad you asked – here it is! Oh…my. A serving of this soup (soup!) is 9 points in the WW Points Plus program. If I’m going to spend 9 points on soup, it better be amazing! And a full meal. Meal soup. So addictive. To its credit, this soup is very easy to prepare. Throw it in a saucepan with a cup of water, simmer, serve, feel like a culinary genius. Since it’s a meal soup for two, my roommate got to share in the spoils of my bloggership. The verdict? We both thought it was good, but nothing spectacular. 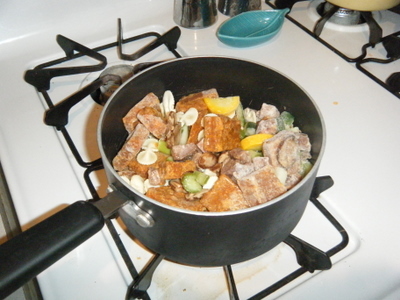 I liked that it had mushrooms and zucchini, two veggies that usually get skipped in canned soups. The beef was standard quality frozen meal beef – honestly, I prefer Dinty Moore beef to this. The soup itself was pretty salty – I didn’t mind, I just sucked down a few extra glasses of fine wine. Instead of eating this as a meal, I ate this as part of a meal, with a ham sandwich on the side. The soup was filling, but I’m slightly skeptical about calling it a meal. I think I may have been unsatisfied without the side of ham sandwich. Would I buy this particular flavor again? Probably not. There are 3 additional varieties of Bertolli Premium Meal Soups for Two (Chicken and Rotini Pasta, Tomato Florentine & Tortellini with Chicken & Chicken Minestrone), and I’ll definitely be trying them all, because I have these coupons. For the price without coupons, I’d probably just pick up a couple cans of soup to eat for lunch or make my own. Be sure to comment on this post with your favorite type of soup to be eligible for the giveaway! 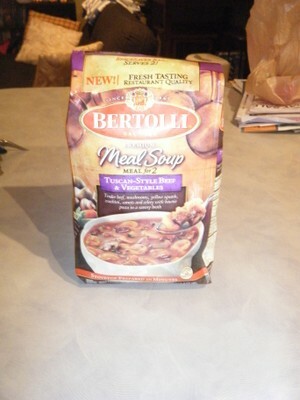 Disclaimer: Per FTC guidelines (and in case I didn’t make it obvious), I’d like to disclose that Bertolli sent me this soup to try for free. Whaaat? Is it possible that the last time I hit you with a Chew & Review was in September? Wow, I really apologize. I know you feel neglected, plus how will you know what to eat on your New Year’s resolution diets? I’m just a tad late buckling down on my diet (and let’s not even start on my NY resolution to start washing my face before bed), but I figure February 1st is better than never. So, how were everyone’s holidays? Did you eat a ton of cookie breakfasts like I did? Followed by cookie snacks, cookie lunches, cookies with afternoon coffee, cookies pre-dinner, cookies for dinner and cookies post-dinner? And let’s not forget the cookie midnight snacks. Thank god the holidays are over…but I just put in my Girl Scout cookie order. In order to keep myself from getting too jiggly, I’ve been eating a lot of portion-controlled frozen meals in hopes to counteract the effects of the above paragraph. It’s kind of been working – I somehow unbelievably didn’t gain too much holiday weight. But then I threw out my back doing laundry and have been MIA from the gym for a few weeks. Good news – back is doing better. Bad news – snowmg is coming, meaning I probably can’t get to the gym for another few days. But I plan to do a lot of shoveling, which I hear is great for the back. 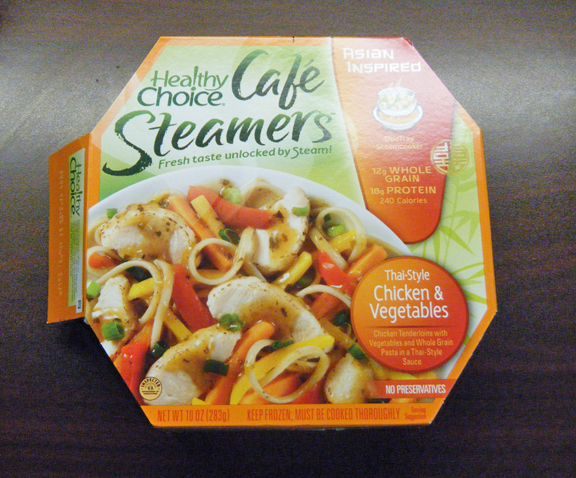 The Healthy Choice Thai Style Chicken and Vegetables Cafe Steamer has 240 calories, 3.5 grams of fat, 34 grams of carbs, 5 grams of fiber and 18 grams of protein. On the new Weight Watchers Points Plus program (which I love, btw), this clocks in at 6 points. Described as “Chicken Tenderloins with Whole Grain Pasta and Vegetables in a Sweet and Mild Curry Sauce.” So much for listing off what the vegetables actually are. I can exclusively tell you that there are carrot and yellow squash strips, and a whole bunch of green onions. Whether of the pearl or green variety, HC never skimps on the onions. I actually enjoyed this meal. It’s steamed with a green curry sauce that is pretty mild. Curry is delicious, but I know that some people don’t like it (weirdos). If you’re not familiar with curry, this could be an okay way to cut your teeth on it. Overheard in the office after heating it up – “You can really smell the curry in that…reallllly smell the curry.” You may want to keep that in mind. The chicken is…you know, standard frozen meal quality. This was actually my second time eating this meal, and I found something hard in a piece of the chicken today. It grossed me out and then made me unhappy that I have yet another one of these in my freezer (I had some great coupons, but Target didn’t have a great selection). 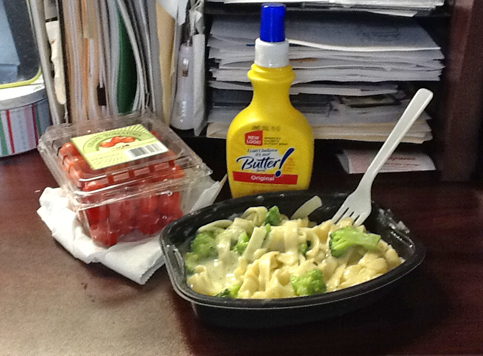 But we all know that you take your lumps with frozen meals, and by the time I finished this, I didn’t mind. It’s a decent size, and I like that it’s served with noodles instead of rice. Overall, this will probably not be one of my standard weekly go-to meals, but I’m sure I’ll keep it in the monthly rotation. 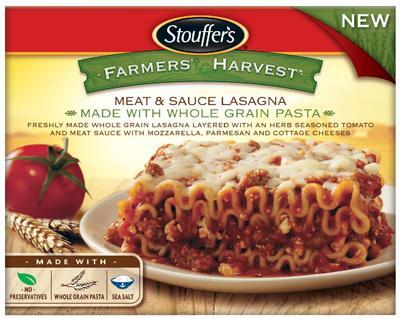 It has a lot of flavor and is a nice change of pace to some of the more standard frozen options.